Download our mobile app to hear more about Athlone Town AFC. 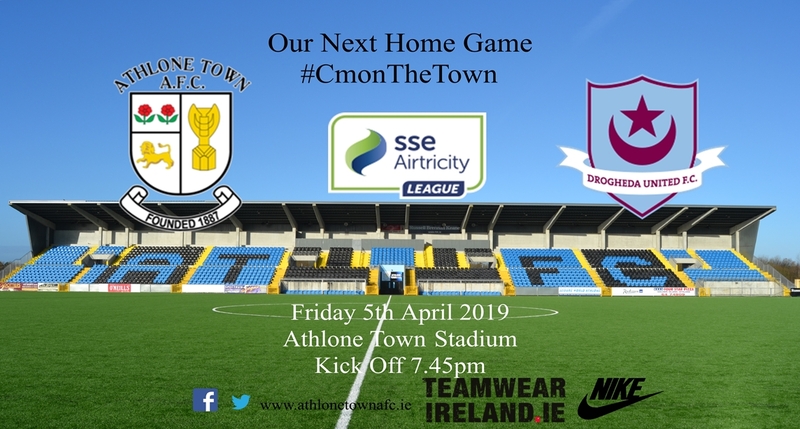 Athlone Town AFC is delighted that the town's local radio station is broadcasting the first of several segments about the club this coming Saturday, March 30th. Athlone Community Radio is calling the series Black and Blue Review, and we hope everyone with an interest in the club's teams tunes in. The fact the local broadcaster has decided to feature the club's activities, not just in the League of Ireland's First Division, but also will be broadcasting pieces about all our youth teams is very much a positive development for the club. The club would like to offer our thanks and appreciation to Robbie and all at the station for taking the time to highlight our teams. Last and not least there are also a few words of footballing wisdom from Athlone Town AFC's Head of Youth Development and Black and Blue legend Mickey O' Connor. The club encourages everybody with an interest in Athlone Town not only to listen in but also spread the word about the programme. Huge game on Friday night as Shelbourne FC come to town ! !